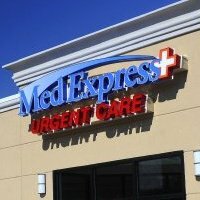 MedExpress Urgent Care offers a high-quality, convenient option for treating most injuries and illnesses, seven days a week, with a full medical team and doctor always on site. There are no appointments, just walk-in and be seen quickly by a MedExpress team member who will make it a point to put you and your concern first. Most insurance is accepted, but not required. Urgent care provides a treatment for all ages for things like flu, asthma attacks, broken bones, cuts requiring stitches and more, providing you with a one-stop option for unscheduled, time-sensitive care. MedExpress takes urgent care a step further, by combining expert care with both compassion and a consideration for your time. 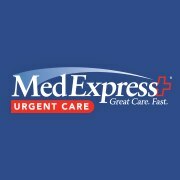 MedExpress believes that urgent care is more than just providing timely treatment to non-life threatening injuries and illnesses. It's about providing a caring, affordable, high-quality health care option to the communities we serve. MedExpress is also here for business. Through the MedExpress CorporateCare (R) program, employers are able to quickly and easily ensure the health of their employees through Worker's Compensation, Occupational Medicine and Urgent Care services. MedExpress is located in Kanawha City at 5430 MacCorkle Avenue and in South Charleston at 4812 MacCorkle Avenue. The Kanawha City location: off MacCorkle Ave. near the Kanawha Mall The South Charleston location: At Thomas St.